Looking good! What cam did you end up going with? BTW, I've got an 81 XT500 and love it. Hey mate, I just replaced with a stock standard cam for now. So I can get the bike back together. Cool. I am thinking about getting a new cam but haven't decided which one to get. Yeah, I have seen there are a few options for cams. Bottom end/mid range etc. it's a tough one to decide on. What issues do you have with your bike that your looking at buying a new camshaft for? No issues really, just hoping for more/different power. I've got a high comp piston in it now with a VM36 carb. Ok great that sounds awesome. Later on I want to put a bit bore kit in. Take it to 600cc. I have heard they really wake up! So later on I will most likely give it that upgrade. Need to do a lot more research before that though. 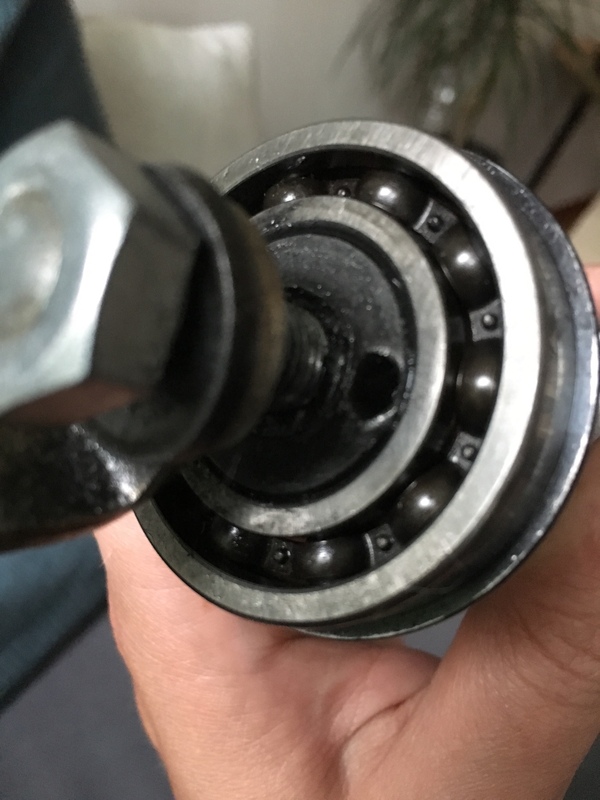 This is what happens if you run a cam shaft without the guide. The pin isn't strong enough and it will start to brake of. Picked this one out of my newly rebuilt engine after it seized the second time. Hadn't looked at the cam shaft since it looked all right when I installed it. Also it was a pain to get it started since the cam doesn't move like it should. Wow! Thanks for your input and the photo. Do you think it's a common issue with this engine? Just Arrived a new headlight and new tiny switch and button for the handlebars. I will use this switch on the left side of my bars for my indicators and my horn. I have always wanted to try feeding the wire through the handlebars, so this bike is a good opportunity to do this. I will update as i go with other electrical bits i will be moving.